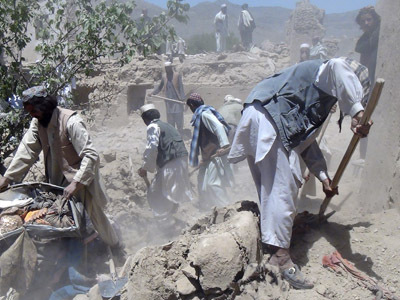 NATO has apologized for a deadly airstrike in Afghanistan’s Logar province, which took the lives of civilians, including children. The commander of US and NATO forces in Afghanistan personally delivered his regrets to local villagers. Five women, seven children and six men were killed in the attack. Marine Gen. John Allen, who is currently in Logar province told the locals they "have my apology and we will do the right thing by the families." This is the first time NATO publicly confirmed that civilians died in the strike. The attack took place on Wednesday in the early hours of the morning. NATO claimed it was targeting Taliban militants, as “insurgents attacked the Afghan and coalition troops with small-arms fire and a grenade” and alliance forces “returned fire and requested a precision airstrike." Afghanistan's President Hamid Karzai has condemned the strike, cutting short a visit to China following the news. He said in a statement that all 18 people killed were civilians. 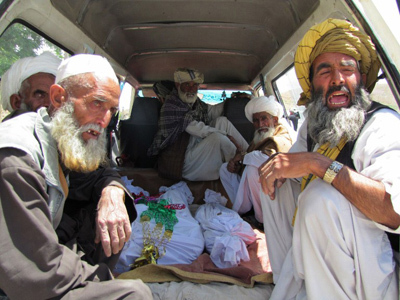 Last year saw more than 3,000 Afghan civilians killed in violence according to a UN report. The document attributed 14 per cent of those deaths to actions by international and Afghan troops.